Starting Up With A Franchise? What's Your Options? Blog Is Starting Up With A Franchise The Best Option For You? Is Starting Up With A Franchise The Best Option For You? So you want to be your own boss and run your own business? But you are not sure about factors such as where to start, what resources you need, how to market products and services, and how to hire and train employees. Franchising is a great option for people in this situation. 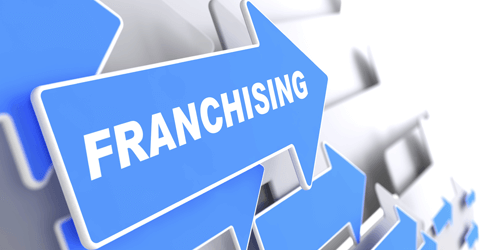 Put simply, a franchise is a method by which the owner of a business, the franchisor, licenses their business to the franchisee. The business model already works thus reducing risk to the entrepreneur. You are fully trained in all aspects of the business and in many cases receive ongoing support. The brand is established and people recognise it and are more willing to buy from you. The franchisor helps to find a good location that will deliver traffic/footfall. Marketing tools and advertising campaigns are provided both nationally for the brand and locally for individual branches. Most franchisors help franchisees make a major local impact with a publicised launch of the business. Centralised purchasing means you get the best possible prices for goods and materials. Start-up costs: costs can vary according to the individual business, however, some franchise startup costs can be very expensive and put off the entrepreneur. What should be taken into consideration are franchises are less risky than traditional start-ups so it may be worth paying a premium. Lack of control: Franchises have to run in accordance with the franchise agreement. For highly ambitious entrepreneurs this may become too restrictive as they may want to experiment with their business model to accelerate growth. If you want to start your own business and be your own boss but are worried about losing your startup capital then a franchise may be the perfect solution for you. If you are highly entrepreneurial and are constantly trying to capitalise on new opportunities you may find running a franchise too restrictive. We can help you start your business faster and easier than if you were to do it alone. Our Business Launcher service is the launchpad for startup success. We’ll provide you with all the tools and advice you need to become your own boss. Check it out here.